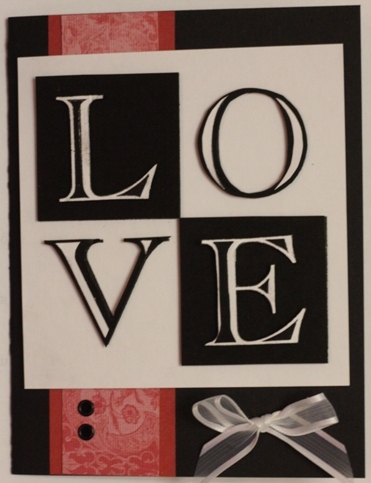 Betsy Veldman is having a paper piecing competition, which inspired this paper pieced love card. I’ve had trouble using this stamp in the past, but always thought it had potential. I chose black and white because they are bold and classic colors. The splash of red was to bring a little more color and brightness. 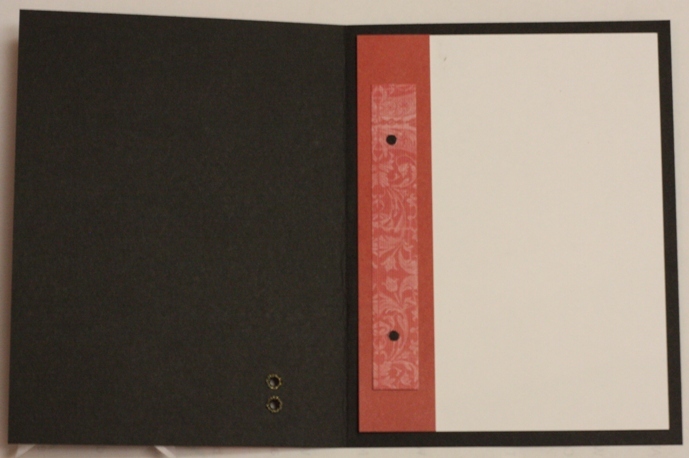 The red patterned paper was left over scrap from another project. A couple of grommets and ribbon finish it off. Love stamp from My Sentiments Exactly. 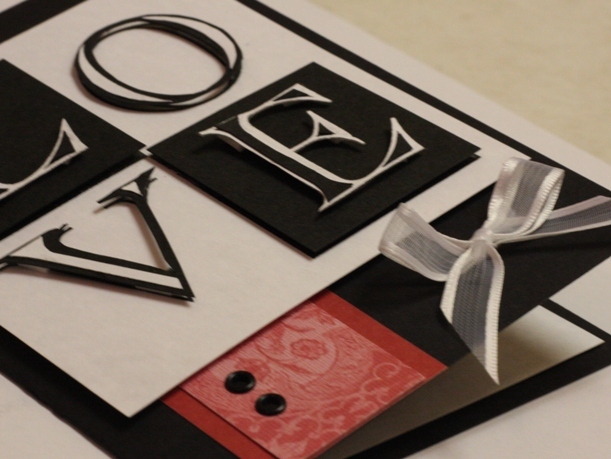 Another view of the card. It is mostly cut and layered. Each change of color from black to white was hand cut. It got a little tricky when the pieces got smaller! I have been spending more time finishing the insides of my cards. This one used left over pieces from the cover. I used the black hole circles from the hole punch that made the grommet holes.